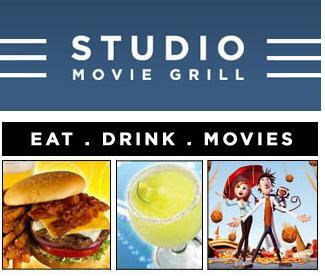 Right now Studio Movie Grill is giving away Two FREE Movie Passes to it's Facebook Fans! Studio Movie will give away 10 FREE Admit Two Movie Passes every hour between now through November 11, 2011. 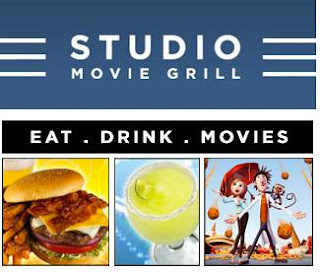 All you need to do is head on over to Studio Movie Grill's Facebook page and click the tab, “Win Free Passes?” I was able to be lucky enough to snag my FREE printable coupon for the two free tickets!! I'm a Fan! If you miss out that hour don't worry, they will let you know when to check back and try again. GOOD LUCK! Right now Nomorerack.com has a great deal on these cute Silicone Diamante Watches priced at $9.00 ($69.99 value) and some other great stuff. Just sign up HERE and you will receive a $10 credit towards your purchase and shipping is only $2 for each item. 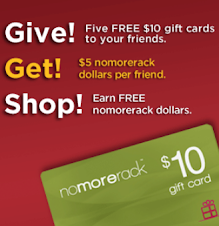 Go HERE for your FREE $10 credit. 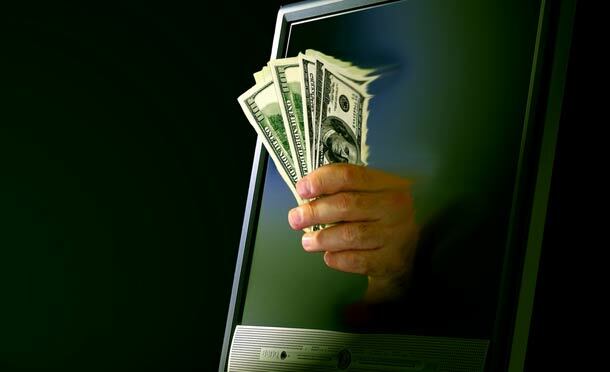 Make sure that the gift code is entered in the code box on the sign up page – that’s how you get the $10 free credit! Click on “Redeem a Gift Card” on the left hand sidebar. Enter code and then click “Redeem Your Gift Card” button. Now you will have the $10 credit! 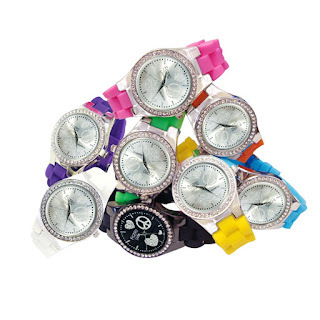 Free credit can be redeemed on any order $20 and shipping is just $2 per item. Right now Studio Movie Grill is giving away Two FREE Movie Passes to it's Facebook Fans! Studio Movie will give away 10 FREE Admit Two Movie Passes every hour between now through February 24. All you need to do is head on over to Studio Movie Grill's Facebook page and click the tab, “Are You a Fan?” I was able to be lucky enough to snag my FREE printable coupon for the two free tickets!! I'm a Fan! If you miss out that hour don't worry, they will let you know when to check back and try again. GOOD LUCK! Well, it's been a long time! Sorry I have been gone for so long, but I took a break from southwestcouponclipper to help other family members with a business venture. I thought I could keep up with swcc, but I have learned through the past year that most people want to actually see the deals rather than for me to just post the where and how to. That takes a little more time to do and so due to time constraints and trying to keep the consistency of swcc, I was not able to post weekly savings while helping my family member's venture. So I decided I am going to come back and do it right. 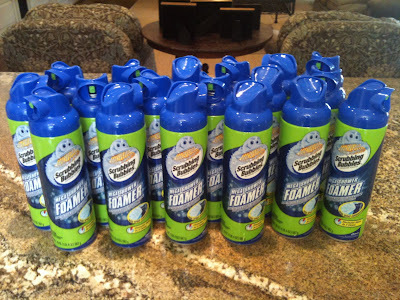 My blog name is a little long and most people were being redirected from my domain southwestcouponclipper.com. I decided I was going to make the business change and that started with my registered domain redirection. Here is the surprise I got. My computer crashed and we changed from comcast to at&t. I thought that I had bought the domain for a 3 year period ( I was wrong). I actually only purchased it for 1 year and the reminder email must have gone to my old email address. Long story long....... is that I just found out someone else bought my business domain and now wants to sell it back to me. ARE YOU KIDDING???? They also bought pretty much all other combinations of my blog's name. I now have to figure out what I want to do. 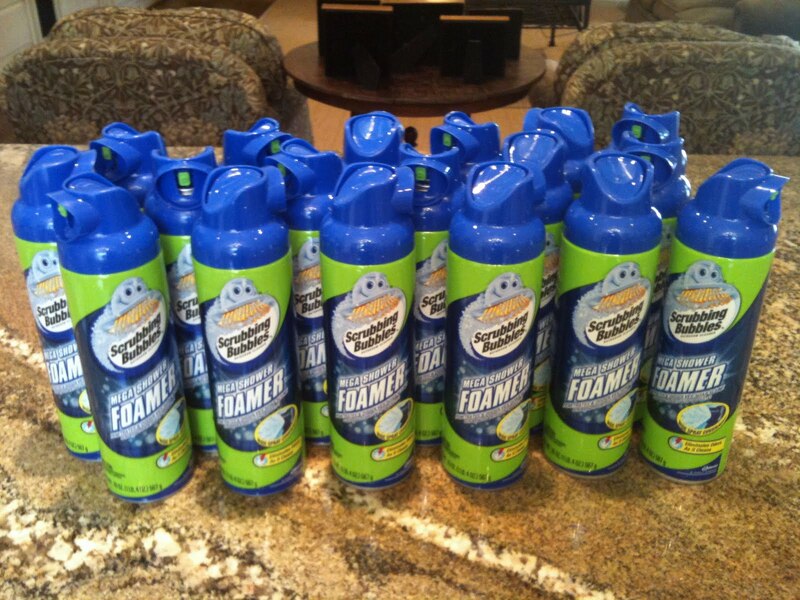 There is NO WAY I am going to pay a dime to this company who bought my company name. What a jerk of a business. I will let everyone know what I come up with and what will become of the blog soon. Thanks so much for everyone's support and all the sweet emails I received during the break. I truly appreciate all my readers. Don't forget to Snag Your FREE Grand Slam Today! 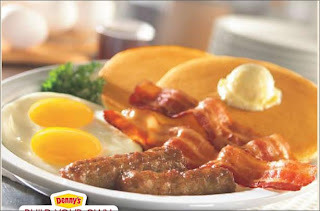 Don't forget today to snag your FREE original Grand Slam breakfast ($5.99 value) at Denny's between 6am 'til 2pm. My family did this morning! Their were no lines, it was quick and the service was excellent! Of course the FREE grand slam breakfast can still cost you if you order extra: hash browns (.99), coffee, toast, orange juice and milk. Our total out of pocket was around $12.00 plus tip. Not bad for a good breakfast (2 eggs, 2 sausage, 2 bacon, 2 cakes) and a little morning outing before school. We all also received a Denny's rewards booklet filled with savings for the months Feb - June. 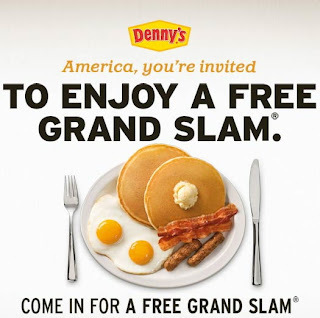 Tomorrow you can snag yourself a FREE original Grand Slam breakfast at Denny's. Each customer can receive One FREE original grand slam (2 eggs, 2 sausage, 2 bacon, 2 cakes)from 6am 'til 2pm tomorrow, Tuesday, February 8, 2010. No substitutions, no carryout orders.